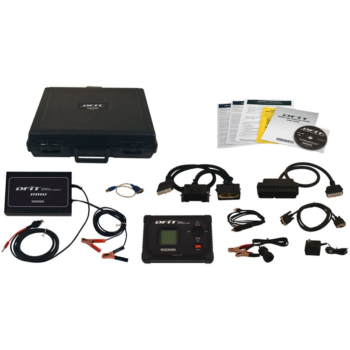 Since its founding in 1991, Waekon has been providing high-quality diagnostic tools to the constantly changing automotive repair industry. A division of Hickok. Showing recent results 1 - 15 of 24 products found. 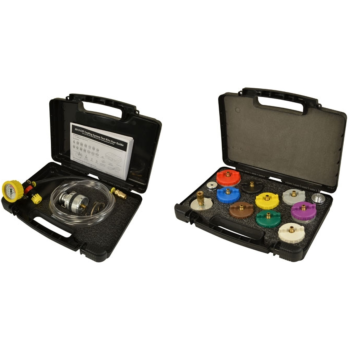 62968 & 62901 - Hickok Inc.
CST's high quality and easy to use design eliminates potential leak issues with rubber plugs or bladders. CST not only reduces set-up time, it also quickly pressurizes and maintains system pressure so you can find the leak the first time. 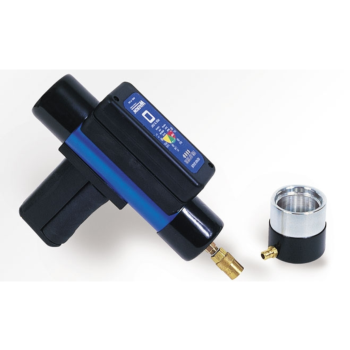 The FPT2600 is a hand-held tester that electronically checks a fuel cap's ability to hold pressure. 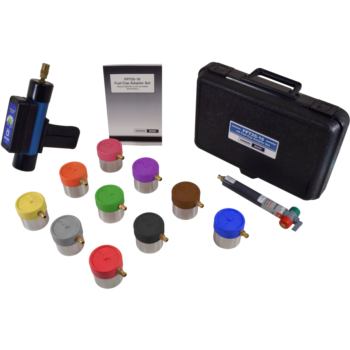 Brightly colored LEDs indicate NO LEAK, PASS, or FAIL test results in seconds, eliminating guesswork and making it easier to use than other test methods. 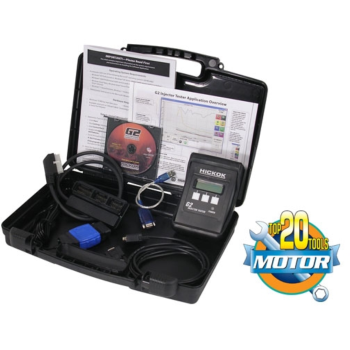 The G2 Diesel Injector Tester is specifically designed to diagnose faulty spool valve performance whether the engine is hot or cold. The real-time data and graphic display of injector performance provides vital injector data for accurate diagnosis. 62868, 62831 & 62801 - Hickok Inc. 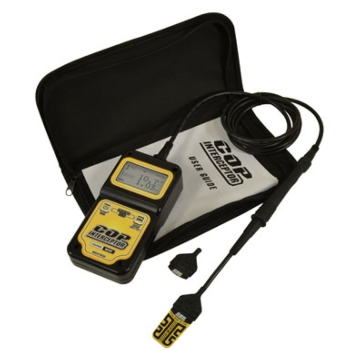 The COP Interceptor measures, displays and saves each coil-on-plug's secondary ignition data in real-time for detailed ignition analysis. 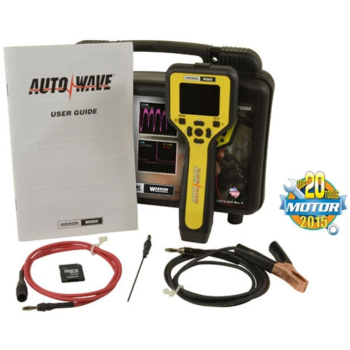 View trend data for visual verification of an intermittent misfire that may not set codes.Simple to operate easier than an oscilloscope.Works on multiple styles of COP ignition systems.9" probe plus 2-1/2" bendable arm. 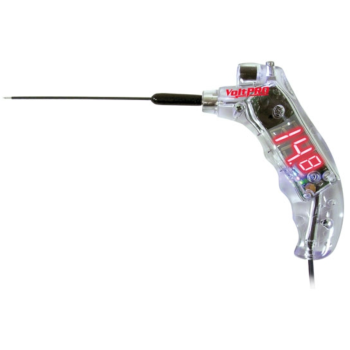 High visibility, simple to use, one handed dynamic voltage testing. Indicates Power and Grounds. 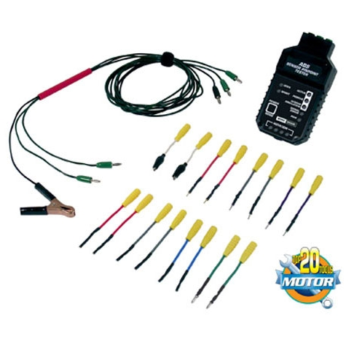 Test the circuit's ability to deliver current and identify loose, corroded or broken wires. 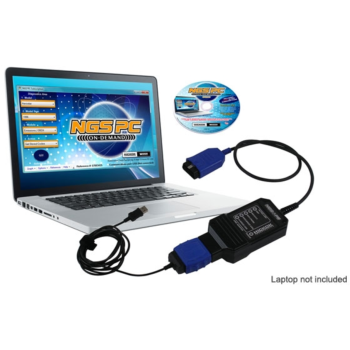 Capture intermittent spikes or drops in voltage. Take Voltage Snapshots in any mode, any time. Heavy duty case and digital readout. 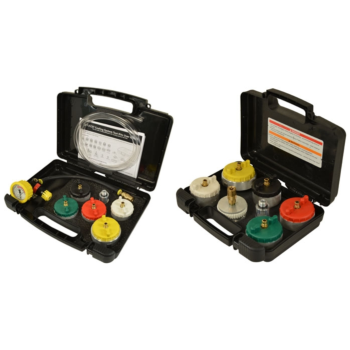 More robust than analog gauges, no mechanical parts to go out of calibration.Remote Readings - Fluids stay at the test point. The 10' cord enables the readout to be inside the vehicle while fluids remain outside. 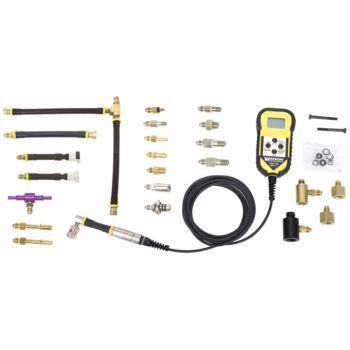 No taping gauges to the window or worrying about fluid leaks.Min/Max feature captures road-test pressure drop-outs.Digital accuracy provides fast repeatable results during injector pressure drop tests.Large back-lit readout offers superior readability in low lighting or sunlight.Displays PSI, KPA, inHg and BAR, no need to convert measurements. Today's vehicles require tighter fuel pressure tolerances, some as little as +/- 2 psi. Many fuel related problems are only identifiable using digital accuracy. 75000 Auto Wave - Hickok Inc.
Three stage adapter has12MM & 18MM thread sizes to fit most domestic and import vehicles oxygen sensor ports. 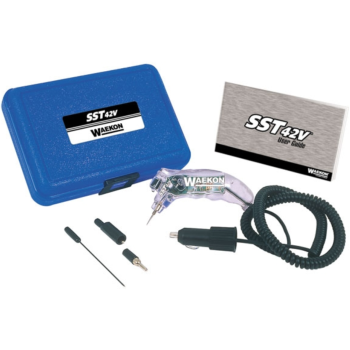 The standard 1/4"-20 tip provides the ability to test through the exhaust pipe when O2 sensor ports are inaccessible. 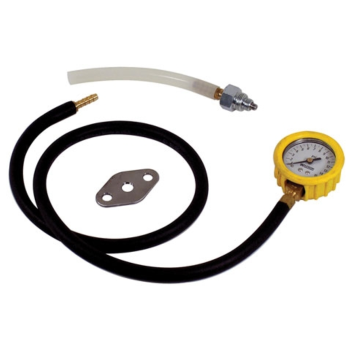 * High temperature silicon hose prevents damage to tester from high exhaust temperatures.